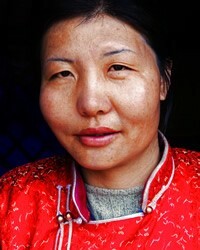 Overview: The Mongolian of United States, numbering 9,200, are Engaged yet Unreached. They are part of the Mongolian people cluster within the East Asian Peoples affinity bloc. Globally, this group totals 5,684,200 in 2 countries. Their primary language is Peripheral Mongolian. The primary religion practiced by the Mongolian is Buddhism, a system of beliefs and practices based on the teachings of Siddhartha Gautama, commonly known as the Buddha.